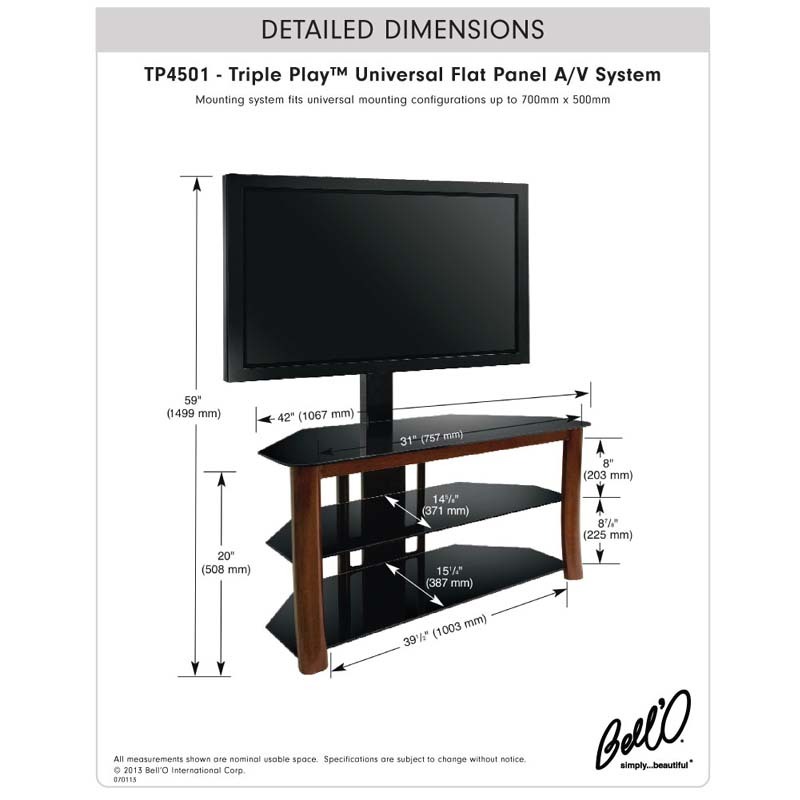 More on the Bello Triple Play Universal Flat Panel TV Stand with Swivel Mount for Screens up to 55 inches (Dark Cherry) TP4501 below. 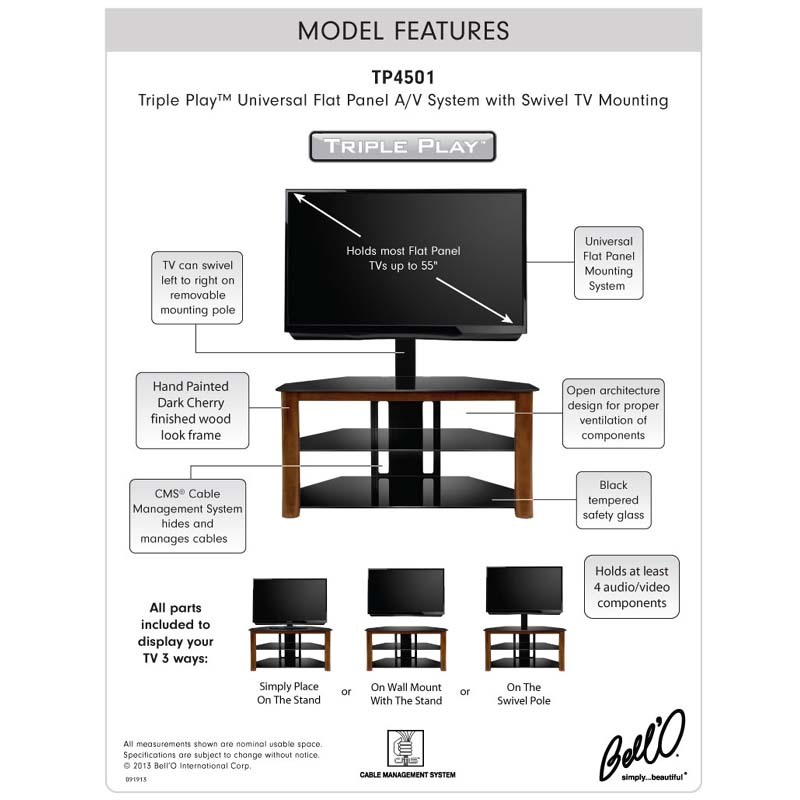 Mount the TV screen on the rear pole of the integrated, universal mounting system pole. 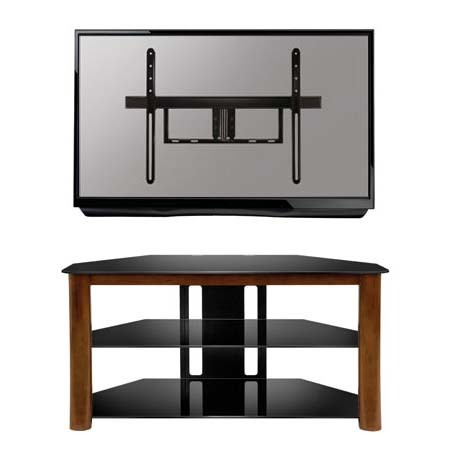 Remove the swivel mounting pole and hang the TV on the wall with the included, swivel wall mount. 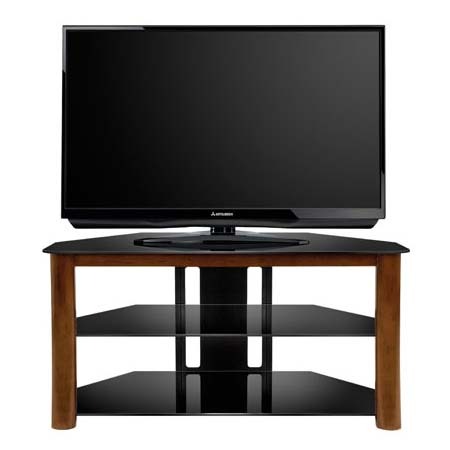 Use the unit as a stand-alone TV table, with the flat screen TV resting on top. 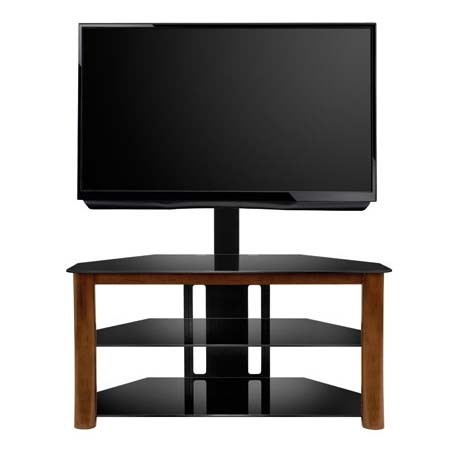 All parts are included to display your TV 3 ways: On the Swivel Pole, on the Wall Mount, or on the Stand. 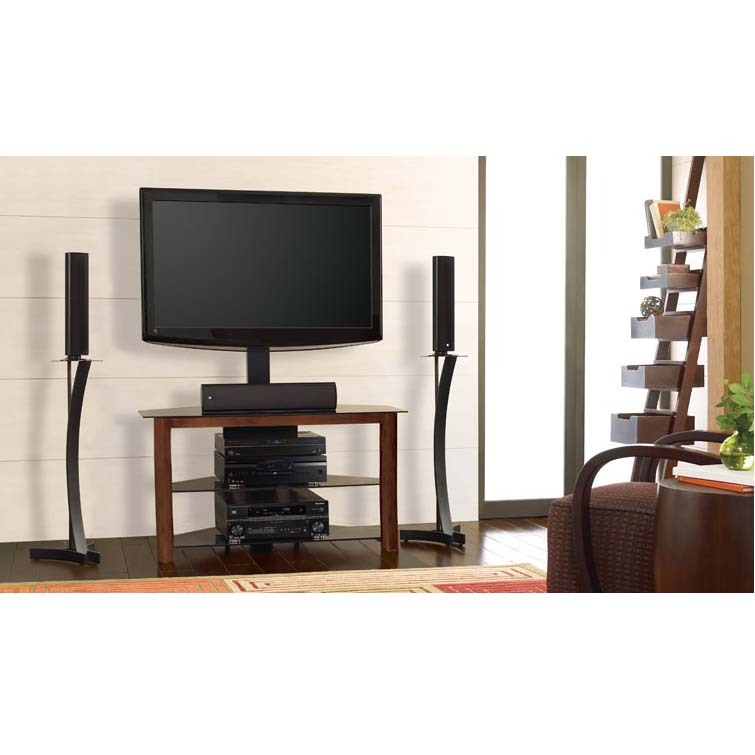 Easy accommodation for most flat panel TVs up to 55 inches. Additional storage space for up to 4 peripheral A/V components. 3 black, tempered safety glass shelves. 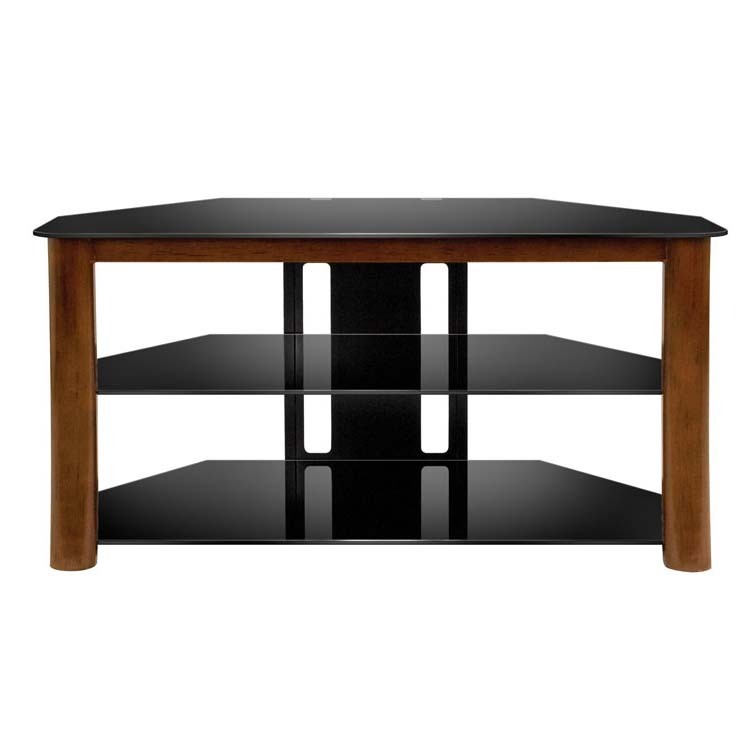 A high-gloss, black, scratch-resistant, powdercoat steel frame. Integrated CMS® Cable Management System. 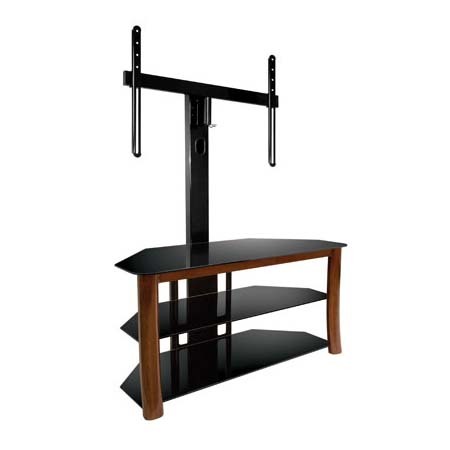 Included universal pole mount and universal TV wall mount (designed for mounting configurations up to 700mm x 500mm). Hand-painted wood trim frame in a "Dark Cherry" finish. An open shelf design for easy airflow to heat-generating electronics. Most flat panel TVs up to 55" and 125 lbs. NOTE: Color tones in decorative panels may appear different due to room lighting conditions. Images viewed on a computer monitor may also vary in appearance. *For additional specifications, see additional images above.